KLAW Hydraulic Emergency Release Couplings: for integration into existing KLAW hydraulic supplies or hydraulic release systems. 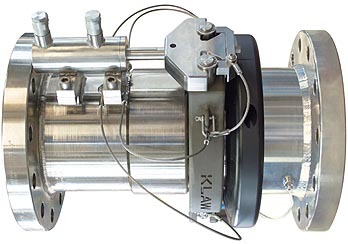 Due to its reputation for proven reliability, the KLAW Emergency Release Coupling (ERC) with Hydraulic release is one of the most popular activation solutions and is recognized around the world as a dependable and leading choice for global organisations. 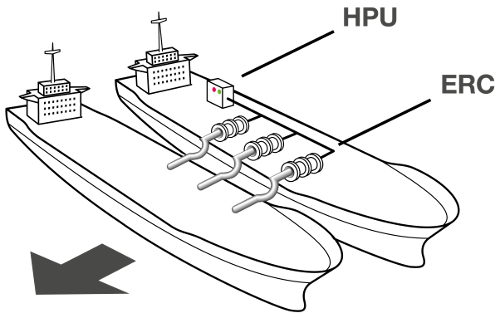 Below is a conceptual illustration of a typical KLAW Hydraulic Release ship-to-ship ERS controlled using an HPU. 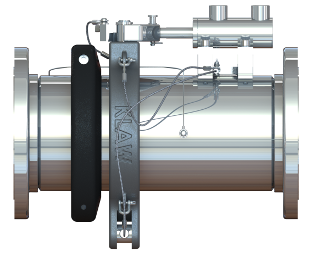 The KLAW Hydraulic Release system can also be specified to include Cable Release and a manual override hand pump. This is a Dual Release System. A conceptual illustration of a ship-to-shore system is shown below. The Hydraulic Release system or any of the variations shown above can be used to protect a range of operations such as loading arms in ship, truck and railcar applications.